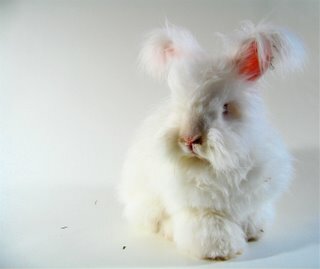 i'm not sure if he is an english angora or giant. he and his brother were gifts, they usually weigh around 8 or 9 pounds at the most when they go to the vet.....are you friends with this gandolf charachter? i'm not sure if you will get this response, but i didn't know how to write you back.